Periphery guitarist Mark Holcomb guests this week on the eve of the release of their new album Juggernaut. We talk about the recording process, guitar nerds asking too many questions, and how producing the record themselves was a liberating experience. We take a listener call about Slayer entering into the Bonnaroo mix; what does that mean for the band and for metal in general? 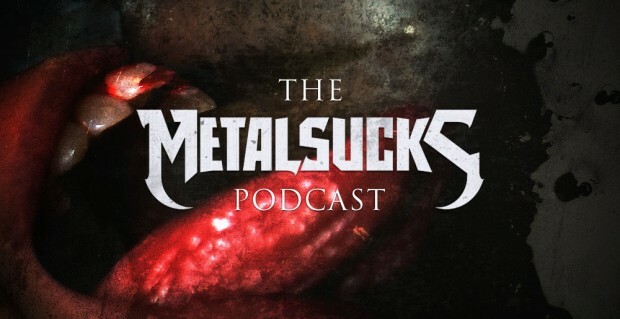 Does it signal metal’s acceptance into the mainstream? Is the festival seeing the writing on the wall that metal fans will buy tickets? Will this expand Slayer’s fanbase, or is it just a nice, fat check? All this and a new “Storytime With Stavros” segment brings you a story about Metallica from The Atlas Moth’s Stavros Giannapoulos in a continuation of his infamous New Orleans anecdotes.